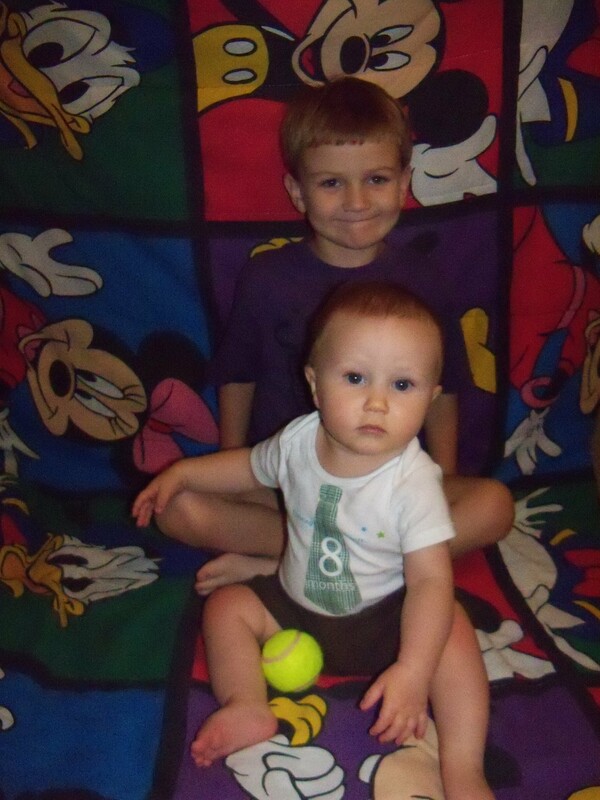 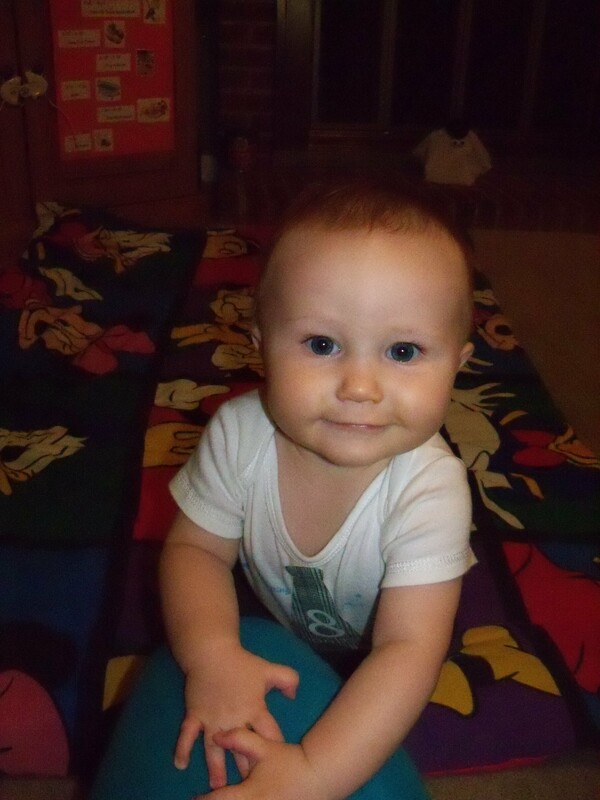 Our baby boy is growing up so fast! 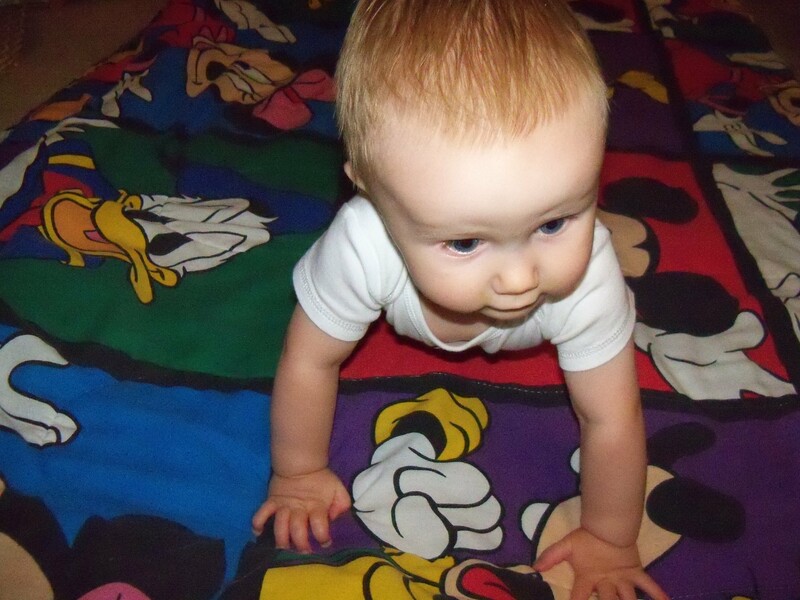 William has been crawling around all over the place and getting into whatever he can. 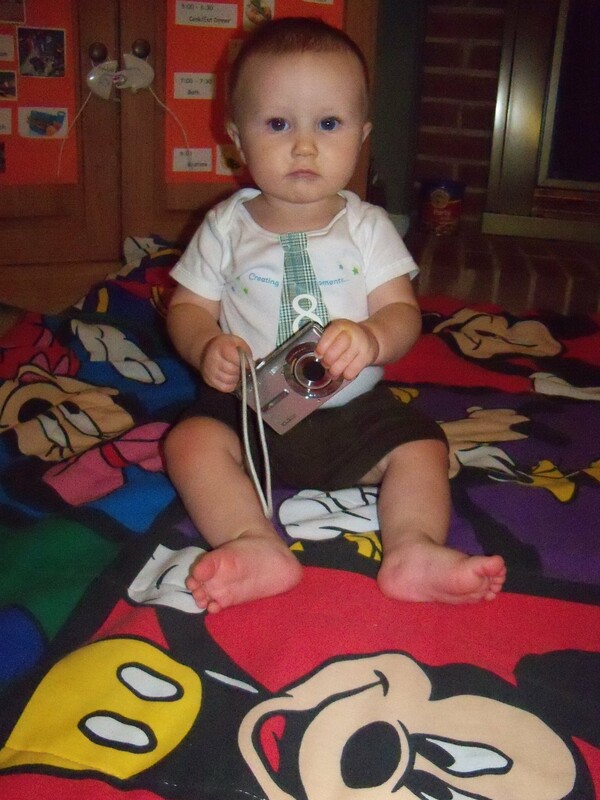 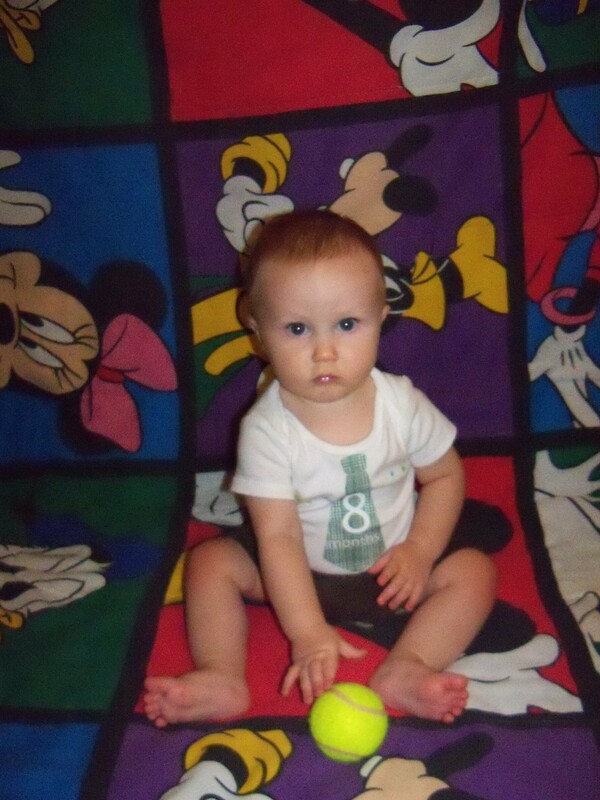 Mommy dressed him in his Disney Baby onesie and we finally sat him down for his 8-month photo shoot, which proved to be much harder than in previous months.